This detached Chalet bungalow in the quiet village of Christchurch. The property benefits from a lounge, large kitchen/breakfast room with utility. 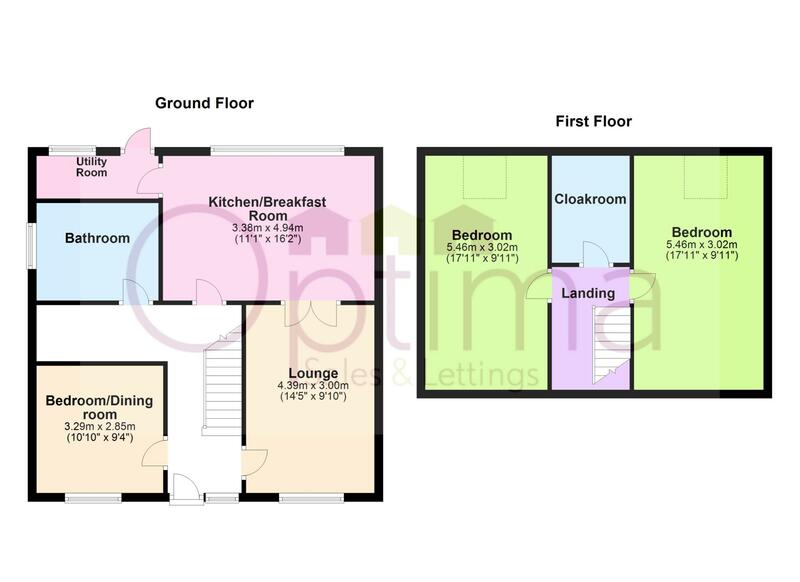 There is a bedroom/dining room on the ground floor with a further two bedrooms to the first floor. Ample parking to the front. Enclosed rear garden. Upvc double glazed entrance door. Laminate flooring. Radiator. 2 x light fittings. Window to front. Stairs leading off. Laminate flooring. Window to front. TV point. Light fitting. Wall uplighters. Fitted carpet. Window to front. Light fitting. Radiator. Laminate flooring. Range of matching base and eye level units with worktop space over. Tiled splashbacks. 1 1/2 bowl stainless steel sink unit. Built in oven, hob and extractor fan. Window to rear. Radiator. Double doors to lounge. 2 x light fitting. Vinyl floor. Panelled bath. Close coupled WC. Separate shower cubicle. Sink. Heated towel rail. Part tiled walls. Extractor fan. Window to side. Light fitting. Laminate flooring. Upvc door to rear. Boiler. Window to rear. Light fitting. Plumbing for washing machine. Fitted carpet. Loft access. Smoke alarm. Light fitting. Fitted carpet. Low level WC. Radiator. Light fitting. Sink. Extractor fan. Fitted carpet. Velux window. Light fitting. Radiator. TV point. Loft access. Fitted carpet. Velux window. Light fitting. Radiator. Loft access. Rear: Enclosed. Mainly laid to lawn. 2 x patio areas. Side gate.